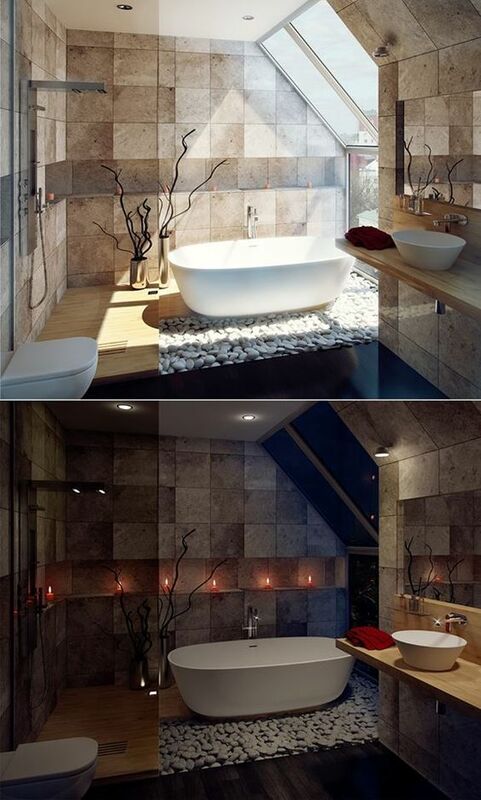 Home » Bathroom » Best Colors for Small Bathrooms, Which One’s Your Choice? Small bathroom isn’t a trouble if we decorate it in right way. The color and layout options become the most crucial thing to make it comfortable when used. Any color schemes actually can fit limited-space bathroom, but we need to choose the right color combination producing at least a larger visual effect. 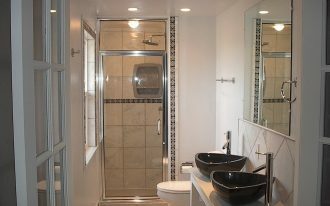 Some tricks also need to try for a better & larger space, like wall mirror addition, corner-setting fixtures, and many more. Well, here I’m gonna share ten ideas of best colors for small bathroom I’ve taken from Pinterest. 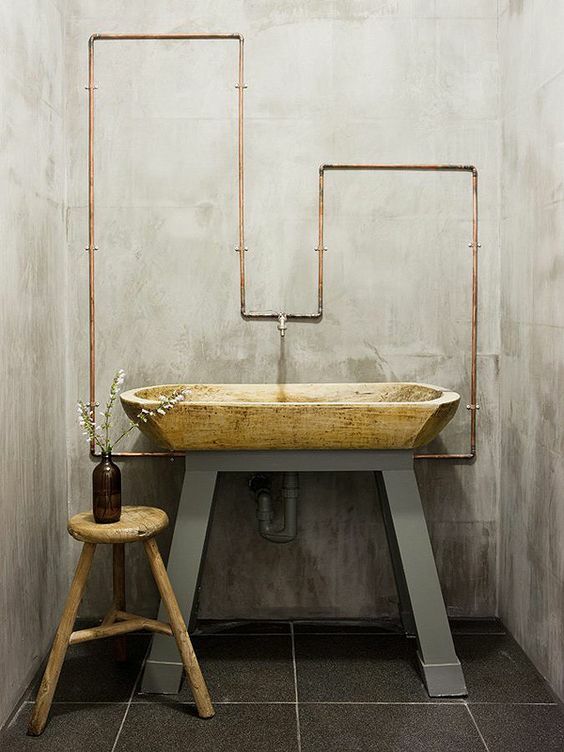 Wish these ideas will inspire you and soon be applied for your next bathroom remodel project. 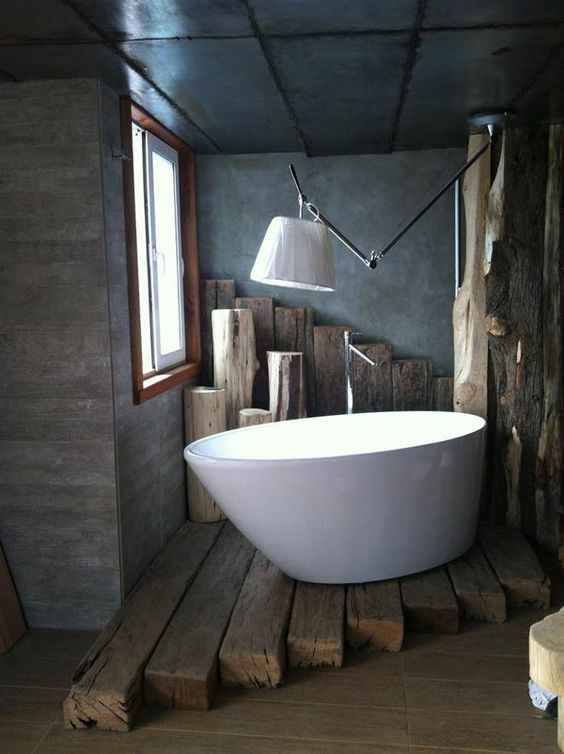 Old and shabby log setting here brings a real rustic, but this clean white bathtub and the lamp oppositely become the modern design representatives. Dark and white are also revealed a balance color combination. 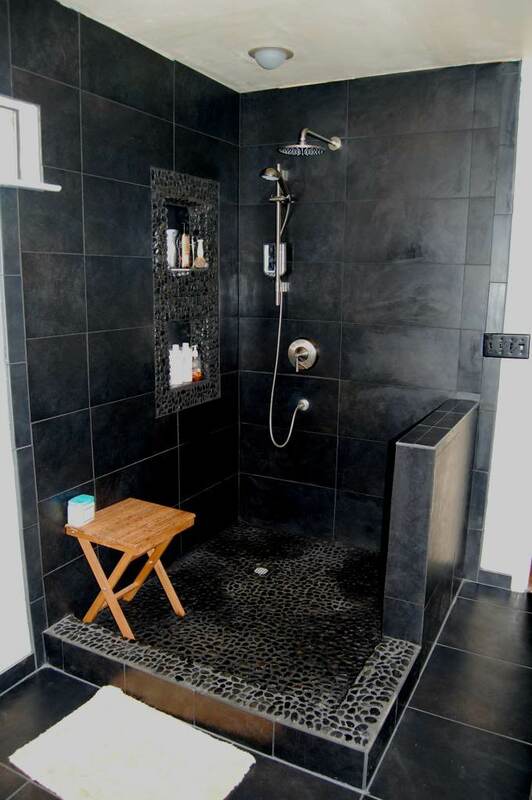 Dark schemes also potentially recommend for small bathrooms. Just feature it with rustic barn fixtures for warm and welcomed nuance you won’t leave. 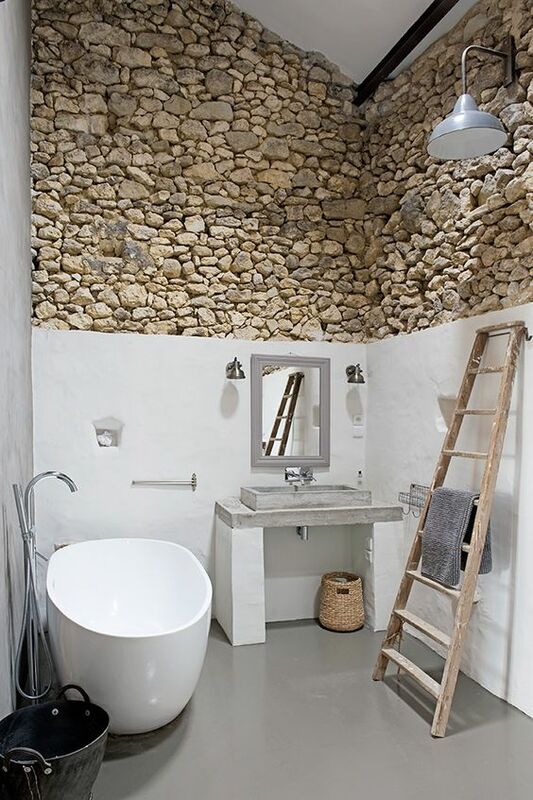 Half stones-half clean concrete; a unique idea for creating a modern rustic in small bathroom. Clean concrete here would be great way to make all interior pieces stand out or visibly overlooked, while stoned walls here directly leads to a raw rustic concept. 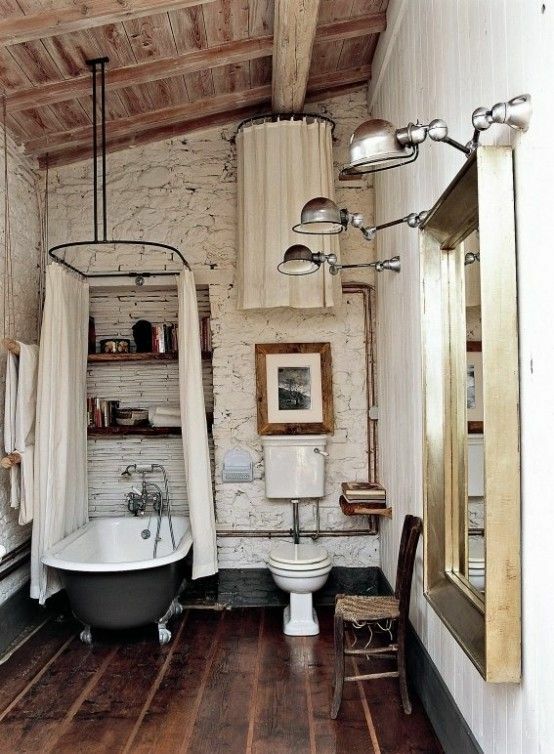 Barn and rustic are the different concepts taken for redecorating this small bathroom. The designer adds industrial elements for more creative look but this hard textured wall here really exposes what the rustic is. Amazingly creative! 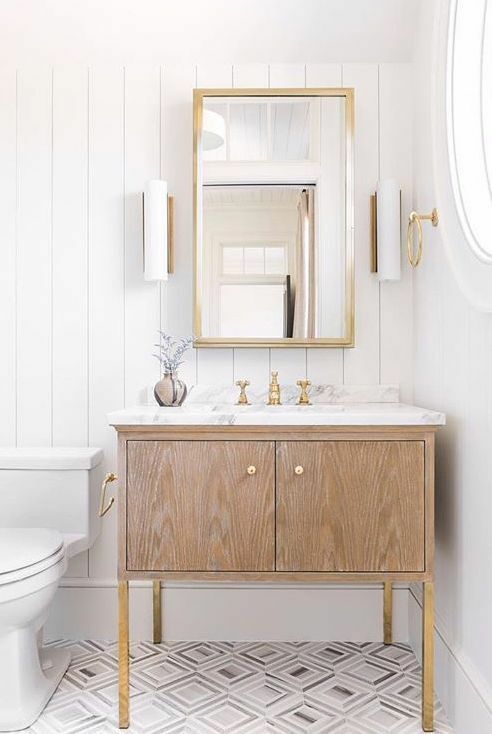 Make your bathroom warmer just with a neutral color schemes. 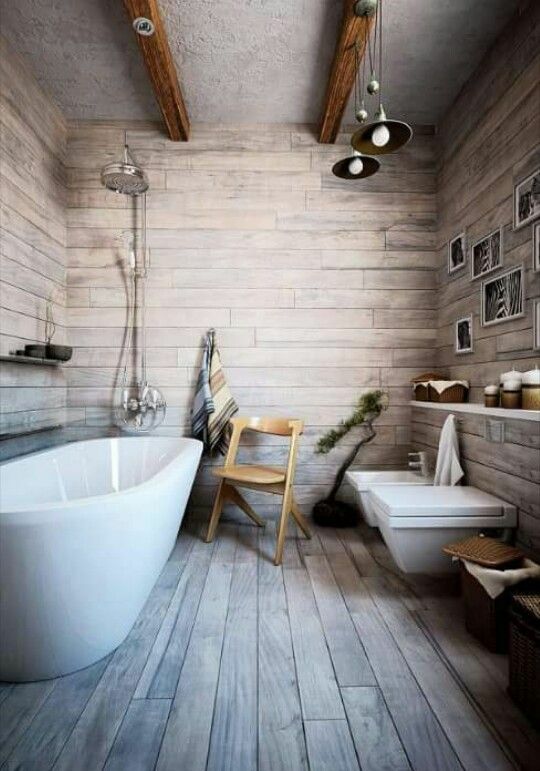 Fill the space with clean white bathroom fixtures and wood elements for modern & natural look. 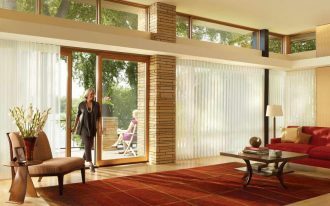 Again, neutral schemes for warmer and more inviting purpose. 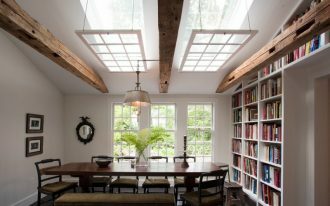 The skylight surely provides huge amount of natural light to this space. 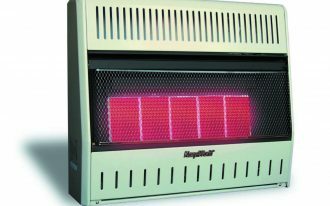 The tiles look lighter when the light naturally accesses them, giving a visual effect of elegant illumination, especially on some particular objects. And when the dark comes, the space receives romantic dims came from the candles assistance. Black isn’t always bad for small spaces. This bathroom is just the real example. 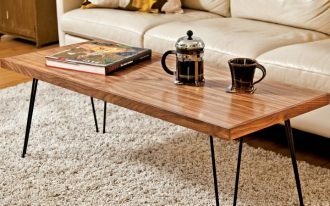 This limited space fully accommodates what you need, and black is chosen for a contrasting setting especially when it’s featuring any bold, metallic, or even wood elements. Pale tone is okay for small room; even it’s as good as the white in creating a larger visual effect. 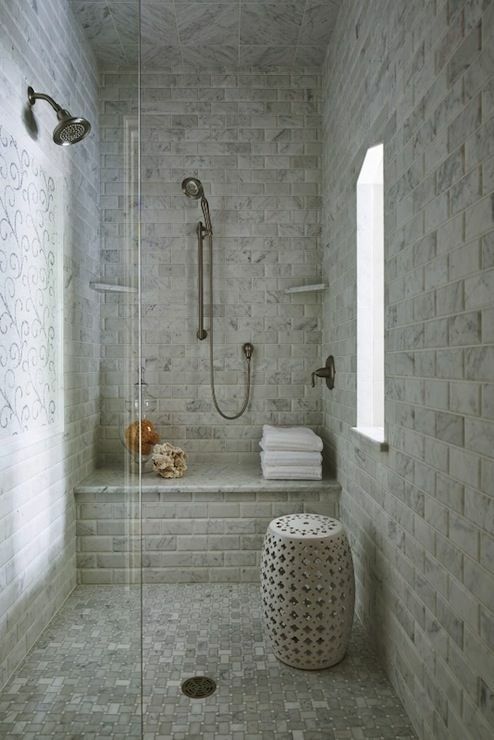 In this idea, the designer has performed whitewashed subway tiles for walls featuring whitewashed mosaic tiles for floors, and the complementary elements like a garden stool, recessed shower shelf, and shower bench precisely complete the space. Actually, it isn’t a problem if you prefer pop of colors to colorize your tiny bathroom. 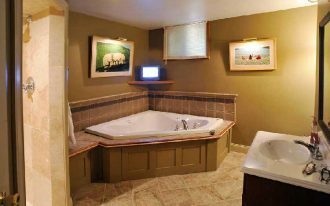 There is no color limitation for redecorating the small bathroom, especially for making it cozier and visually more fun. 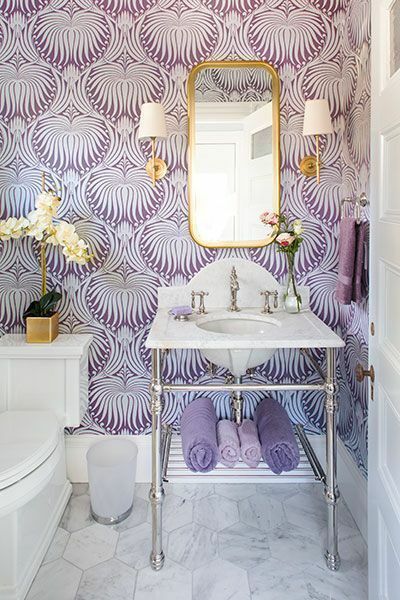 This purple wallpaper, for instance, brings the aesthetic value and the brass finishing on wall mirror adds highly luxurious look. 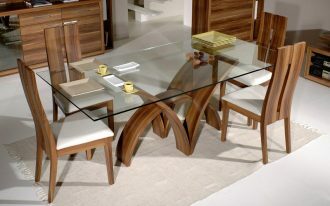 White always offers elegance and luxury in the simplest way. It seems that the brass and wood elements are the best completeness since white is a perfect color background that makes these elements much more obvious.